When building the strategy for your DWI/DUI case, our skilled attorneys will explore all possible avenues of defense. In many DWI defense cases, it is crucial to consider our client’s medical history and physical condition at the time of the traffic stop. We identify if a medical issue may have resulted in erratic driving, failed field sobriety tests or a high BAC test result. 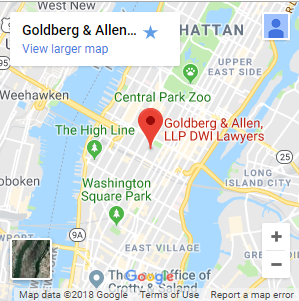 At Goldberg & Allen, LLP, we focus on building a strong defense that protects your rights, freedom and future. Schedule your free case review with a drunk driving false arrest lawyer in New York City today by calling us at 212-766-3366. Illnesses such as the common cold or the stomach flu could impair your driving ability or your performance on field sobriety tests. You may have taken NyQuil, Sudafed or another type of over-the-counter medication. You may have plugged up ears and be off-balance. Or, you may feel dizzy. 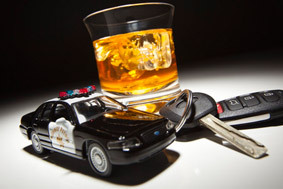 All of these could affect your ability to drive and perform field sobriety tests. An abnormal body temperature may adversely affect the breath tests. These tests are based on a formula that expects the subject’s temperature to be within a certain range. If the temperature is outside that range, the readings could be skewed. Gastroesophageal reflux disease, also known as GERD, may yield an incorrectly high BAC reading. This is due to stomach contents or residual esophageal alcohol captured by the sample. When diabetics have not eaten for a while, their body starts to metabolize blood sugar. This can actually result in the smell of alcohol on their breath. The above are just a few examples of when medical considerations can be made in a DWI case. Each person’s body and the way he or she reacts to certain medications and illnesses can differ greatly. If his or her medical conditions interfere with the validity of traffic stops or traffic tests, Goldberg & Allen, LLP, can identify that and bring forward a strong defense. These types of cases have a level of complexity that our attorneys are prepared to handle effectively. Call us at 212-766-3366 to schedule your free case review. You can also contact us online.